The 2019 Mercedes-AMG A35 is positioned between the range-topping A45 and the standard A-Class, as the more tamed AMG, if that can ever be said. 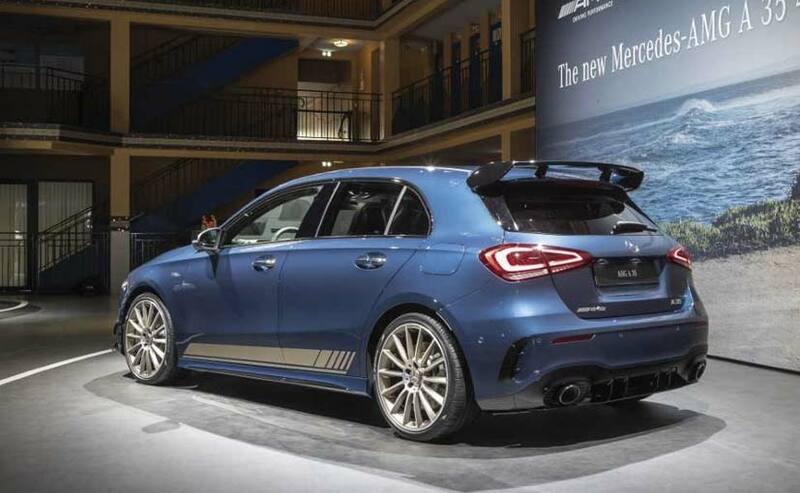 The 2019 Mercedes-AMG A35 has made its public debut at the 2018 Paris Motor Show. The new performance hatchback was unveiled last month online, and this is the first time the car is being seen in flesh. The new Mercedes-AMG A35 is positioned between the range-topping A45 and the standard A-Class, as the more tamed AMG, if that can ever be said. It's will also be slightly more affordable over the A45 AMG without necessarily compromising on fun. 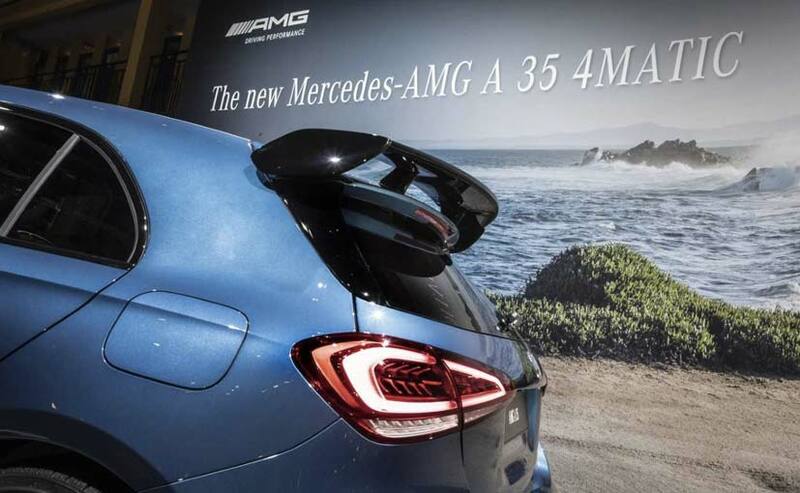 The new A35 AMG takes on the MINI Cooper S, Volkswagen Golf GTI, Ford Focus ST and the likes. The 2019 Mercedes-AMG A35 gets the necessary visual upgrades over the standard A-Class for a more aggressive appeal. The car comes with a redesigned bumper with larger air intakes and splitters, multi-spoke alloy wheels, lowered ground clearance and a massive wing at the rear. The twin exhausts are a big give away that isn't the top-of-the-line A-Class AMG, but you do get the rather large diffuser which is anything but subtle. While we may call it the tamed sibling, the 2019 Mercedes-AMG A35 is no slouch when it comes to performance and uses a 2.0-litre turbocharged petrol engine tuned for 302 bhp and 400 Nm of peak torque. The engine is paired with a 7-speed dual-clutch automatic transmission that sends power to the front wheels. The A35 AMG is capable of hitting 0-100 kmph in just 4.7 seconds, while the top speed is an electronically limited 250 kmph. Inside, the cabin on the 2019 Mercedes A35 is offered with a host of tech and the AMG treatment including the new MBUX user infotainment system, multiple driving modes including Comfort, Sport, Sport+, Individual and Slippery. 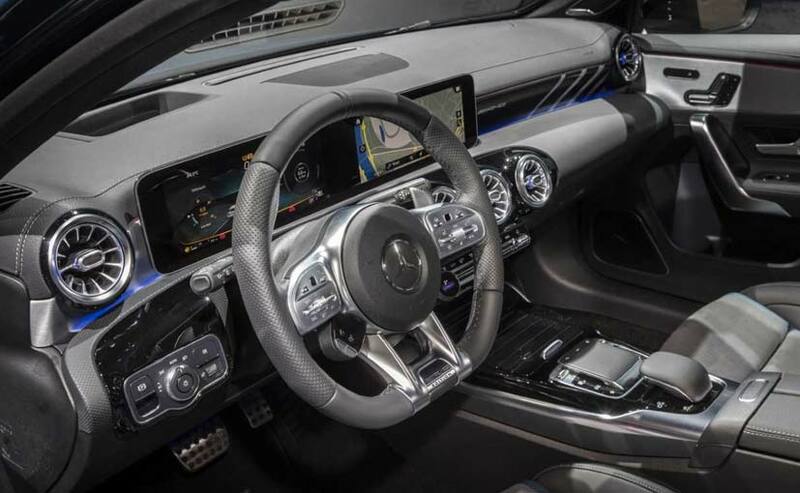 The car comes with AMG sports seats covered in top grade leather, flat-bottom AMG steering wheel and the dual-display from the standard A-Class that accomodates the instrument console and the infotainment system. 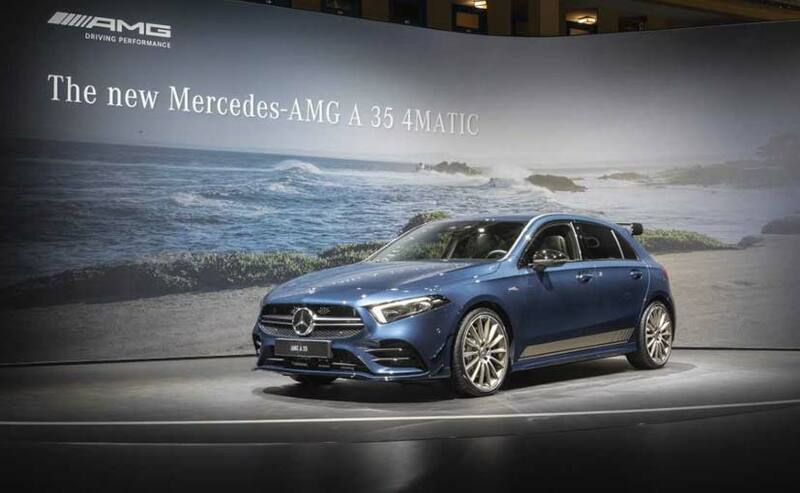 Mercedes-AMG will commence sales of the 2019 A35 from early next year in Europe, while the other markets should get in the following weeks of 2019. 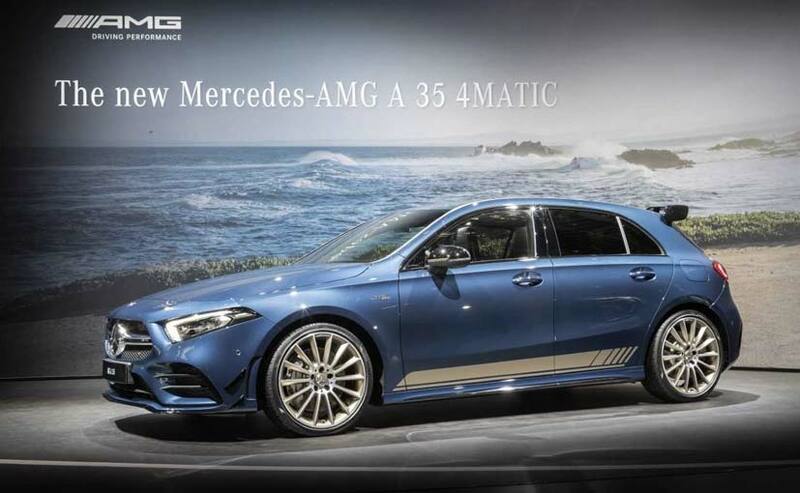 It's still not confirmed if the A35 AMG will make its way to India, but do hope to see it here as the most accessible AMG on sale.